WorkSafe Victoria’s Executive Director, Health and Safety , Marnie Williams, has had a horrid week. Last Saturday, while being ill with a cold, she stood in for the Victorian Industrial Relations Minister at a Migrant Worker Forum, at which she was asked “what you gonna do about it?”. However she continues to make herself available, a crucial element for any leader of a regulatory agency. 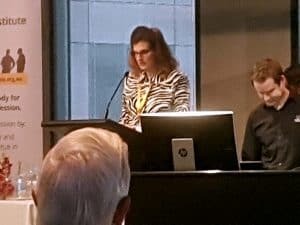 A couple of days later at a safety conference run by the Safety Institute of Australia, SafetyAtWorkBlog accused WorkSafe of not doing enough about the safety of Victorian farmers. Williams rejected the accusation and forecast a new, and surprising, approach for agricultural safety. In fact there are currently 17 readers online and a total of 16889 readers this month!